pepper in a bowl and mix well to combine (hands work well for this). 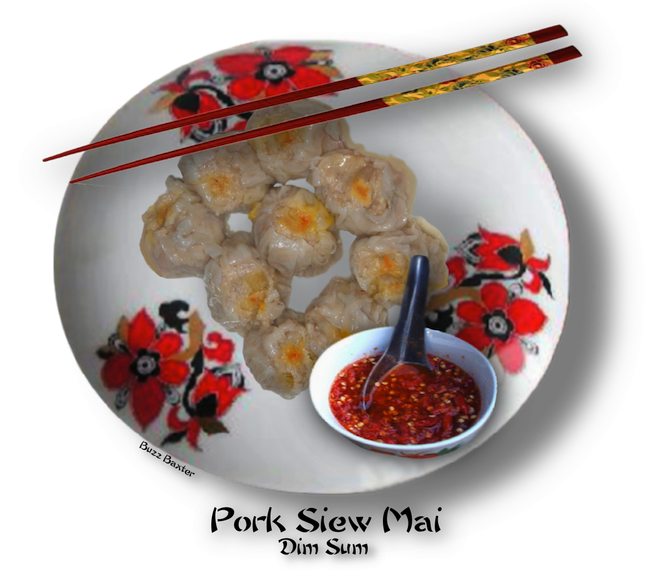 remaining dumplings in the same manner. tightly, and steam dumplings for 25 minutes over high heat, reversing the trays after 10 minutes. Use a slotted spoon to transfer dumplings to a platter and serve with Spicy Dipping Sauce*. 1. Combine ingredients in a small bowl and serve with Pork Dumplings. to make a tight purse to hold the filling. Pork Siew Mai ✯ Watch more Videos at Vodpod.